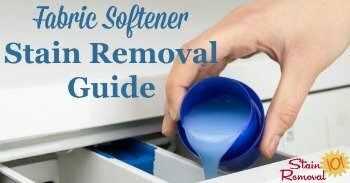 Here is the ultimate guide for fabric softener sheets and dryer sheets, to learn how to use them effectively in your dryer, and their effect on clothing, plus a round up of reviews of the major brands and types. 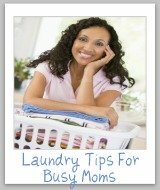 There are two main types of fabric softener, the type you use in your washer, and the type you use in your dryer. 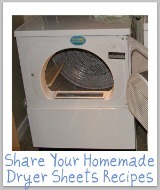 This page is all about the kind you use in your dryer. 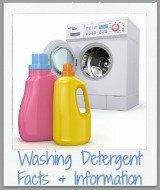 You can find out more about fabric softener for your washing machine here. Once you've decided you want to use fabric softener in your dryer, there are two main ways to do this -- dryer sheets or a dryer bar. Dryer sheets are much more common than the bar, and many different companies and manufacturers make them. Currently, there are only a couple of companies making a bar, including Gain and the more famous Bounce dryer bar, and because the bar is much less popular than sheets even some of those companies have stopped making them. These sheets are a very thin fabric with a type of waxy coating. You simply toss one into the dryer, on top of the wet clothing before you begin drying, and then dry your clothes as normal. As the dryer warms the waxy coating on the sheet melts and coats the clothing, providing the softening and static control. Static control can be especially important when tumbling dry synthetic fabrics which can develop lots of static cling because of the friction of the clothing rubbing together in the dryer. 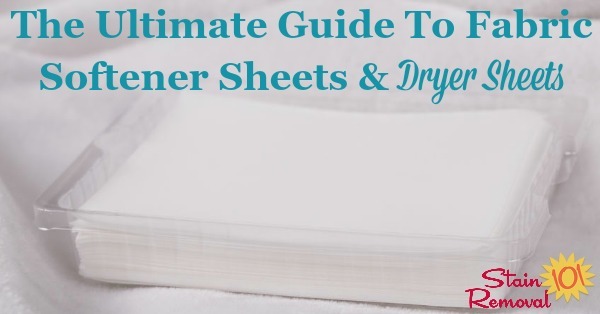 While the manufacturers suggest using a whole sheet, and perhaps even two for even more scent or with very large loads, many frugal individuals (like myself) have found you can easily cut your sheets in half, or even quarter size, and get good results. 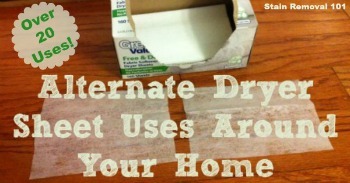 This saves you money, since you don't have to buy these fabric softener sheets as often with this method. 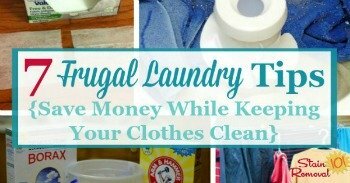 (You can read more frugal laundry tips here). As mentioned above, one of the main purposes of using these sheets is to soften clothes and reduce static cling. I especially like to them for my laundry, especially in the winter, when the air is so dry that static can become a big problem. Further, many sheets are also scented (although there are also scent free versions available) and these sheets can impart a nice smell to your clothing. However, there are some disadvantages to using these products too. 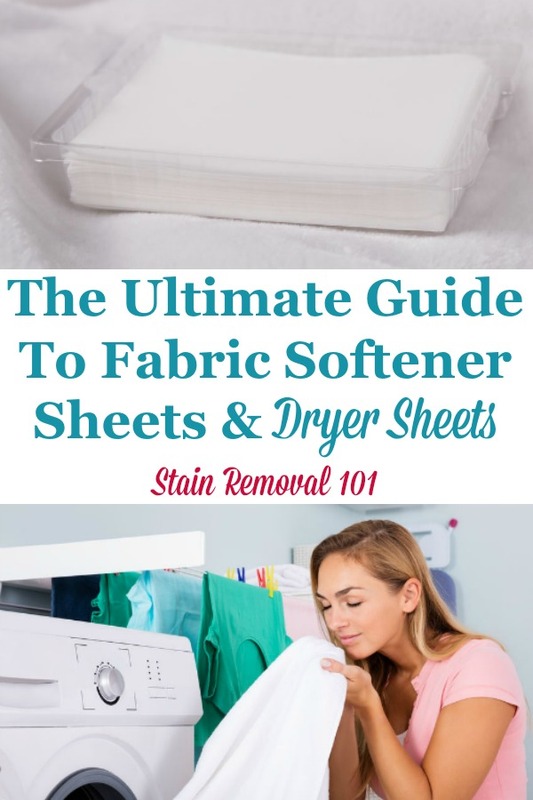 The first is that they have been know to cause a fabric softener stain on clothing, which looks greasy or oily, and is caused from excessive melting of the wax onto an article of clothing. To reduce the risk of this problem, do not overfill your dryer, place the dryer sheet on top of the load of clothing instead of the bottom, and do not use too high of heat while drying. 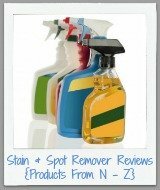 However, if a stain happens follow the instructions in the link above for removing these stains. 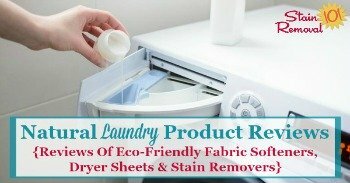 In addition, dryer sheets, like many fabric softeners, will reduce the flame resistance of fabrics which have been treated with a flame retardant, such as children's pajamas. Therefore, you should not use these products in a load which contains such items if you want to avoid this issue. Finally, there is some concern about the eco-friendliness of these products. To combat this there are quite a number of natural softener products on the market, including sheets that have plant-based softeners, unbleached sheets, and/or have biodegradable or even compostable sheets. There is such a variety of these products on the market, from various brands and scents, that people often feel overwhelmed when trying to choose one. 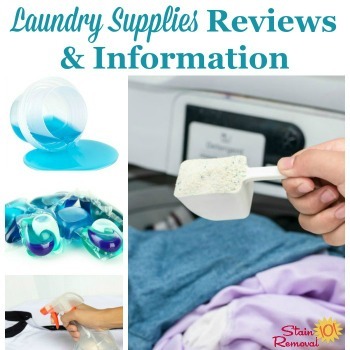 To help with this I've created the section of the site, below, where you can read reviews of various products, and also skip down to share your own review to investigate new products, or decide which one is right for you and your family's laundry. Sure, everyone knows you can use these products for removing static from clothes, but what else can you do with them? Some really inventive people have thought of quite a few additional uses for these little sheets, including for sheets that have not been used yet and those which have already gone through the dryer. I've created a page with lots of uses for these sheets here that you can check out, or you can share your own as well. 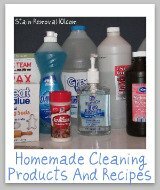 Do you want to learn more about other common laundry supplies? 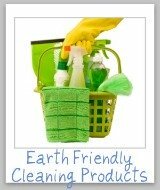 If so, check out all my laundry supplies and product reviews and articles here. 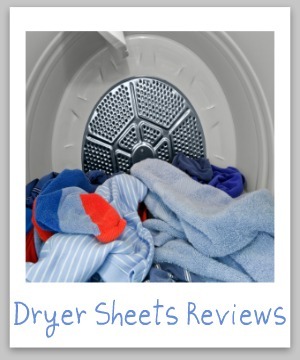 What type of dryer or fabric softener sheet do you love to use when drying your clothes? Or, what brand or scent did you try that you thought you would love, but turned out to really disappoint you? Either way, tell me about it in your review. Tell me which exact brand, type and scent of sheet you are reviewing, and any other important identifying characteristics of it. Further, helpful information would include how it made your clothes feel, how it smelled immediately afterward and whether the scent lingered or not, whether you had any problems with it staining or spotting clothing, what types of fabrics you use it with, and/or any allergies or skin reactions you or a family member experienced while using it, if applicable. I also am interested in whether you feel you need to also use fabric softener in the wash when you use these sheets, and why.